Mikey Craig, the original bassist from Culture Club – Interview. 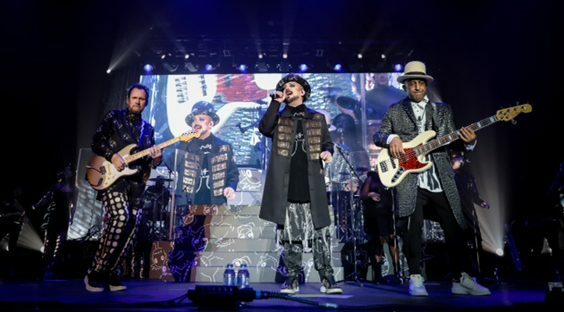 WHAT HAS BROUGHT CULTURE CLUB BACK TOGETHER AGAIN? Basically it is new music that has brought the band back together again. Writing and recording is the lifeblood of a band – what keeps us going is being able to write new material. On the tour though it will be a balance of old and new. The majority of people coming to the shows want to hear all the old hits which we will be doing. If we played all the new album people would be disappointed. We have just finished a tour of America and played some of the new songs in the set so it will be good to let our English fans hear the new tracks live. THE NEW ALBUM HAS JUST BEEN RELEASED, WHAT IS IT LIKE? 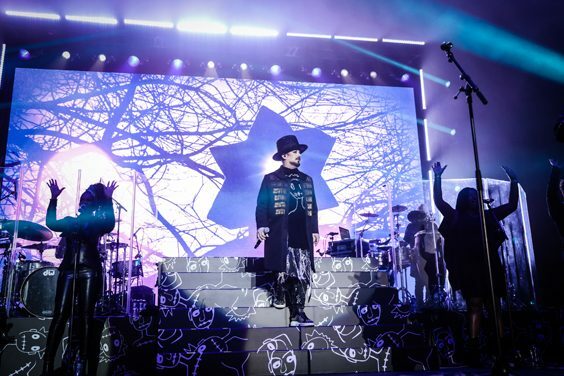 It is quintessential Culture Club with a mix of reggae, funk and pop but also there are a few tracks in there which are more adventurous and a bit more grown up from what we have done before. ‘Bad Blood’ and the track ‘God and Love’ are my favourites on the album. The album is called Life and we are very pleased with it. YOU ARE NOW ON THE SAME RECORD LABEL AS KYLIE. That’s right, it’s BMG. I have always liked the label. Some of the band thought we should be signing to a major label but BMG were handling some of our back catalogue so we thought it only natural to go with them. We started to record songs a few years ago then one thing became another and before we knew it we had an album ready to go. THE TOUR COMES TO LEEDS, HAVE YOU ANY GOOD MEMORIES OF THE CITY? I can’t remember the last time we played a gig in Leeds, it must be over 20 years ago. Leeds is such a funky city, I hear you have got a Harvey Nicks there now. My guitar tech is from Bradford and I’m sure we will be having a good curry either in Leeds or Bradford when we visit. We were going to do a UK tour a few years ago but it was cancelled. My heart sank as we had done so much work outside of the UK so we are now looking forward to the tour more than ever. THE BAND WENT FROM PLAYING SMALL GIGS TO ARENAS VERY QUICKLY – DID THAT AFFECT YOU? That’s the nature of the beast. It was pretty much overnight, we did that Top of the Pops appearance and the next time we were talk of the nation. I remember we were in our way to Edinburgh to play a gig and we stopped off in Galashiels and we heard that ‘Do You Really Want to Hurt Me?’ had got to Number 1. We went into this small deli and the old lady serving, she must have been at least 80, pulled a copy of the single out from under the counter to sign. That’s when we realised how big we had become and how far-reaching it was. WERE YOU ALL HAPPY WITH ‘KARMA CHAMELEON’? There were disagreements. George came into the studio with the song, he had the melody and asked the band to work on the song, we put more music to it and the song was written in four minutes flat. The album had been recorded and we then decided to put the song on there. DO YOU LISTEN TO NEW MUSIC? I kind of keep up with things with my kids. I hear songs they play and I can say where that sample has come from. There is some good music out there and some bad which drives me around the bend! The UK is the best. There is nowhere better than performing at home. America is geared up for entertainment though. Every city has a decent venue, the audiences are appreciative and the whole infrastructure is the best in the world.